Air in the tires keeps you rolling down the road. 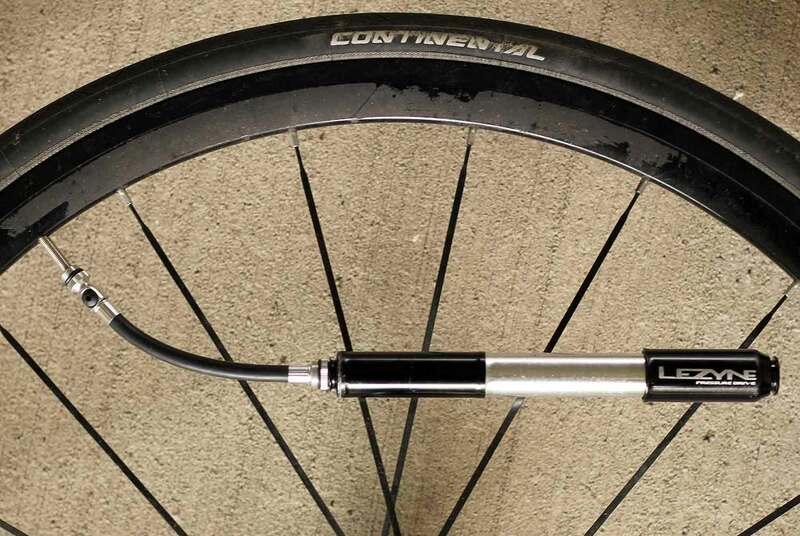 But how it gets there, and how fast you can fix a flat, is a key concern for riders on pavement or trail. For years, a small hand-pump has been a part of my biking kit. After multiple pump models that are difficult or inefficient, I’ve found a favorite with the Lezyne Pressure Drive. Released a couple years ago, I’ve now employed the hose-equipped mini pump dozens of times. At $45, it costs a bit more than the competition, but it’s worth every extra penny. The basic design is simple, including an aluminum case with an overlapping design. One side of the cylindrical shell slides into the other as you pump, letting the pump go from about 8.5 inches long in transit to a full length at 16 inches extended. It’s small enough to fit in a jersey pocket or mounted alongside a water bottle cage on a bike frame. 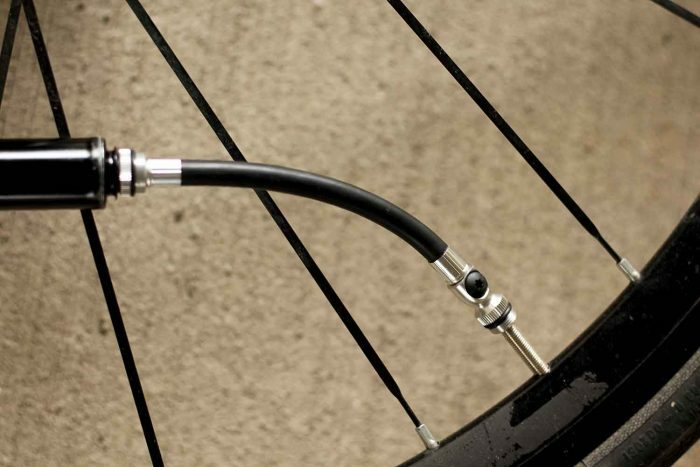 The Lezyne pump weighs about 3.5 ounces (101 grams). In use, air fills the chamber with each extension, then is pushed into the inner tube as you pump. Beyond the case design, a flexible hose is key to the system. The hose fits inside when stowed and then threads onto the end to mate with the common presta or Shrader bike valves. The hose allows flexibility of movement as you’re pumping. Even though it’s small, the Lezyne design is easy to grip and comfortable to use. The case gets slightly hot as you pump — there is a lot of pressure inside, with air sucked in and squeezed through a tiny valve. As with any small inflator, the process of refilling a flat can be tedious; it takes up to 100 pumps for high-pressure wheels. After years of use, the Pressure Drive’s case is a little beat up but it’s still going strong. Along with a backup C02 inflator, the Lezyne is now my go-to for mountain biking and road rides where access to air anywhere is mandatory.